Dude, I have got to disagree. For the last 40+ years we (developers and such) have been using binary numbers, and 10 bits can describe 1024 values (0-1023). Not so in electronics, for exampel .. In the domain of electronics one KILO of anything is considered a prefix for 10 to the third power multiplied with the value it prefixes. One KILO times one KILO is one MEGA .. 10 to the sixth power, and so on ..
digital domain values, and thus broke bond to the original digital domain association. Thats because I like things to be as they have always been, - and because I feel at home in the digital domain. 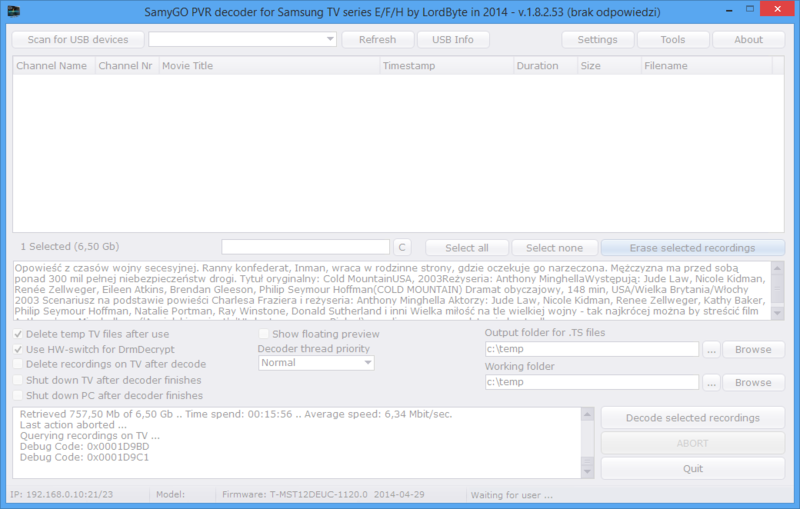 When I want to abort decoding, PVR Decoder crashes. Slower fix: Wait for new version, where I might have fixed this issue. Why is a virus detected in the File? Last edited by lawre on Mon Oct 10, 2016 9:00 pm, edited 1 time in total.